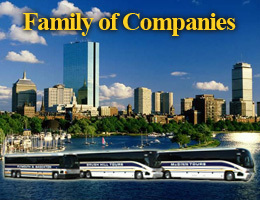 Explore Boston and beyond with our private and customizable tours. Our experienced and knowledgeable tour guides will provide you with an insider’s view of historic Boston and its surrounding communities. Whether your group is large or small our buses and trolleys can accommodate your group’s every need. Our experienced staff will assist you in planning the details of your tour and help ensure the safety and satisfaction of your group’s members. Request a quote online or call our sales staff at 781-986-6100.